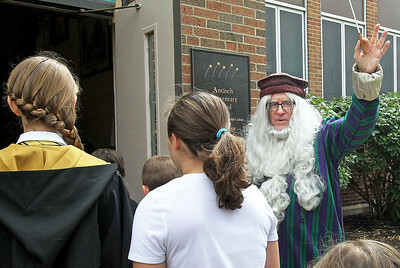 Candace H. Johnson-For Shaw Media Paul Howard, of Lindenhurst, as Albus Dumbledore, welcomes students to the Hogwarts School of Witchcraft and Wizardry at Antioch Elementary School during Wizards Weekend in Antioch. 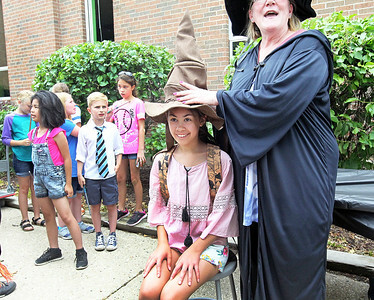 Candace H. Johnson-For Shaw Media Connor Esler, 8, of Arlington Heights practices wand motions in the final class of the Hogwarts School of Witchcraft and Wizardry at Antioch Elementary School during Wizards Weekend in Antioch. 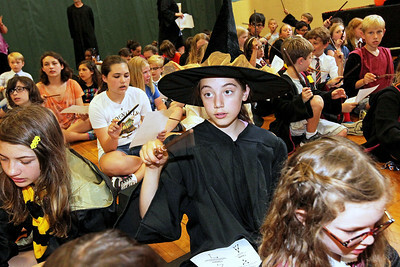 Candace H. Johnson-For Shaw Media Mikaelea Zehrung, 11, of Round Lake Beach finds out she is in the Raven Claw classroom as announced to the crowd by Kris Poplawski, of Lindenhurst as Professor Hooch at the Hogwarts School of Witchcraft and Wizardry outside of Antioch Elementary School during Wizards Weekend in Antioch. Candace H. Johnson-For Shaw Media Iman Rasidagic, 10, of Grayslake learns wand motions during the final class of the Hogwarts School of Witchcraft and Wizardry in Antioch Elementary School during Wizards Weekend in Antioch. 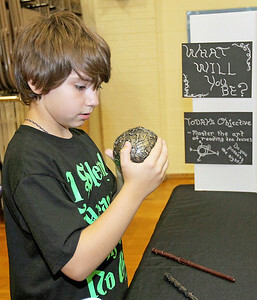 Candace H. Johnson-For Shaw Media Christopher Lewandowski, 9, of Antioch looks into a crystal ball to tell his fortune in a Divination class at the Hogwarts School of Witchcraft and Wizardry at Antioch Elementary School during Wizards Weekend in Antioch. 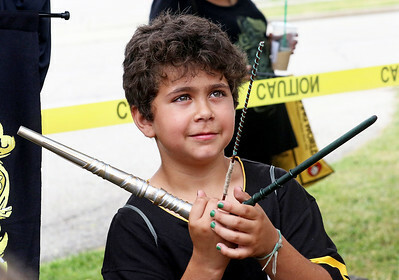 Candace H. Johnson-For Shaw Media Brox Heller, 8, of Wildwood holds his wands before entering the Hogwarts School of Witchcraft and Wizardry at Antioch Elementary School during Wizards Weekend in Antioch. 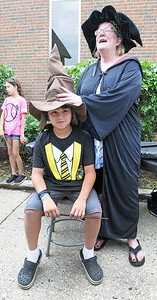 Candace H. Johnson-For Shaw Media Drew Graham, 9, of Grayslake finds out what classroom he is in as announced by Kris Poplawski, of Lindenhurst as Professor Hooch at the Hogwarts School of Witchcraft and Wizardry outside of Antioch Elementary School during Wizards Weekend in Antioch. 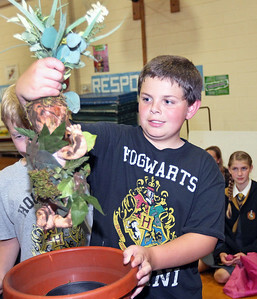 Candace H. Johnson-For Shaw Media Andrew Rabe, 10, of Lakemoor plants a Mandrake in a Herbology class at the Hogwarts School of Witchcraft and Wizardry at Antioch Elementary School during Wizards Weekend in Antioch. 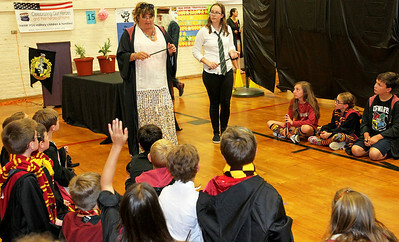 Candace H. Johnson-For Shaw Media Pam Evans, professor of Herbology, and Grace Null, both of Lindenhurst talk with students about herbology and planting Mandrakes at the Hogwarts School of Witchcraft and Wizardry in Antnioch Elementary School during Wizards Weekend in Antioch. 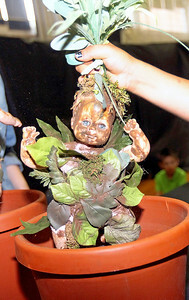 Candace H. Johnson-For Shaw Media Brox Heller, 8, of Wildwood plants a Mandrake during a Herbology class at the Hogwarts School of Witchcraft and Wizardry at Antioch Elementary School during Wizards Weekend in Antioch. 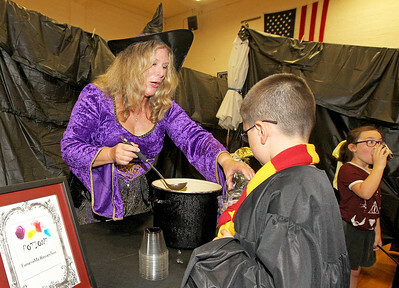 Candace H. Johnson-For Shaw Media Wanda Sobczak, of Antioch, as Esmeralda Hassenfuss gives Richard Eller, 8, of Lindenhurst a potion of "Elixir Veritaserum," to reveal his fortune at the Hogwarts School of Witchcraft and Wizardry in Antioch Elementary School during Wizards Weekend in Antioch. 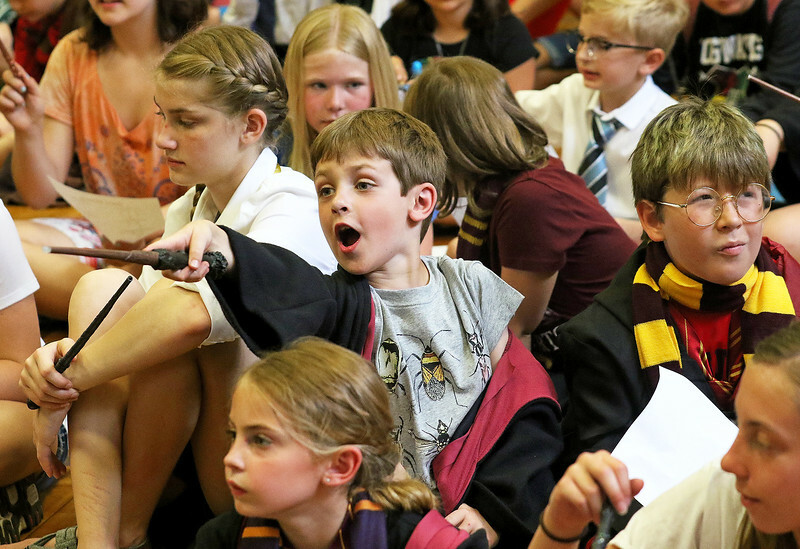 Connor Esler, 8, of Arlington Heights practices wand motions in the final class of the Hogwarts School of Witchcraft and Wizardry at Antioch Elementary School during Wizards Weekend in Antioch.